Welcome to our Hypnobabies Class Enrollment information page – we’re so glad that you have chosen to attend a Hypnobabies Childbirth Hypnosis class! Feel free to watch our short video and/or read the additional information below, and when you’re ready you can click on the Hypnobabies Class Enrollment link below and complete your online enrollment. If you have any questions, please contact us at 714-894-BABY, or contact your Hypnobabies Instructor. Need more detailed information about Hypnobabies Classes before you enroll? Instead of doing patterned breathing or simple relaxation exercises, our Hypno-moms and their Birth Partners learn self-hypnosis sessions in class so that our Hypno-moms can work towards enjoying an easier, more comfortable birth. We do a different hypnosis session in most of our 6 classes, and each hypno-couple takes home a modified script of that same session to work with, learning a new part of the program each week for 6 weeks. 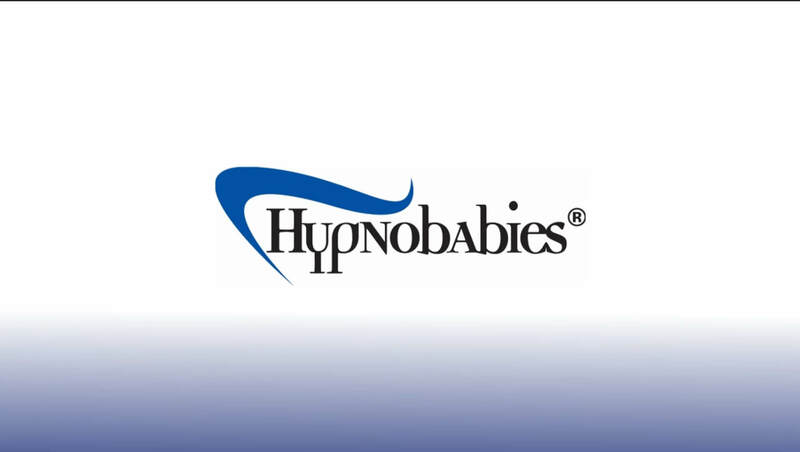 All Hypnobabies Classes are 6 weeks long, one class per week, 3 – 3½ hours each class, and can only be taught by certified Hypnobabies Instructors. Working together on scripts is fun and relaxing and gives you both an opportunity to do something very positive together towards having a wonderful birthing. You, as the Hypno-mom get to relax in a comfortable position while your birth partner reads positive messages about childbirth to you with soft music on in the background. Easy! You also get to listen to a special audio track each week on the alternate days by yourself, and this allows you to have some time to yourself at least every other day to relax and feel great. There is also daily individual brief hypnosis practice for you to complete and some reading homework for you and your Birth Partner each week. After the course is over, you’ll continue on a Hypnobabies maintenance routine of one script or one audio track per day until your baby is born, so that the messages will stay firmly engrained in your inner mind, and then your Hypnobabies techniques will be right there for you when you give birth. You’ll need about 45 minutes a day for your maintenance practice. The materials you will receive in Hypnobabies Class are: Your Hypnobabies Workbook, 4 MP3 download cards or 7 CDs for the Hypno-mom, 5 Hypnobabies hypnosis scripts in a booklet, your Quick Reference Guide, your Birth Partner’s Guide, the Birth Partner’s audio track on CD or MP3 download card, and many important handouts. Please be aware that while we very much respect differences in personal needs, we do not accept Hypnobabies students who are also taking another form of childbirth education course. Hypnobabies is a complete childbirth education course and no other education is necessary. In addition, the pain-coping philosophies of the other courses are in direct conflict with the belief system our Hypnobabies students need to create an easier and more comfortable hypnotic birth. Our Hypno-mothers that have fully embraced Hypnobabies without confusing or conflicting information and techniques have enjoyed the easiest births. They have understood and immersed themselves in our Hypnobabies philosophy that with the best “hypno-tools” your mind and body can work together to create your comfortable Hypnobabies birth experience and there will be no need for any other methods’ “pain-coping”. The childbirth education, deep hypnosis and relaxation skills you learn in Hypnobabies are all that you will ever need. In addition, all natural childbirth classes show videos depicting unmedicated (non-hypnosis) moms journeying through labor in whatever way they can; moaning, crying, etc. due to the pain they are experiencing. For most Hypnobabies moms, this can be very frightening and the images shown remain visually imprinted as an example for an expectant mother’s inner mind of what childbirth is. These imprints can be brought forth into the conscious mind every time expectant mothers think of childbirth after that, as well as *programming the inner mind* for that same birthing scenario. The same is true of the “birth” shows on TLC’s Baby Story, etc. 2) The philosophies of other childbirth classes can be very much in opposition to Hypnobabies, which means that expectant hypno-mothers can have an extremely challenging time maintaining their positive belief systems about childbirth. Childbirth hypnosis success is all about belief systems, so when there is a conflict about what to believe, the older and more ingrained philosophies easily become dominant. Belief system # 1 – Hypnobabies: Childbirth is a normal event and can actually be easy, comfortable and empowering by learning, practicing and using Hypnobabies self-hypnosis techniques. Belief system # 2 – Other programs: Childbirth is inevitably and inherently painful, and ”pain-management” techniques are very necessary for the pain our students will undoubtedly have. Because of the way our minds work, in belief system # 2, the actual “pain-coping” techniques and constant mention of the word, “pain” along with the videos shown can actually *program an expectant mother* that not only will there will be pain, there may be a great deal of it. In addition, she learns in class that she needs to “accept the pain”, “make pain her friend”, think of it as “positive pain”, “pain with a purpose”, and learn to cope with it. Some (non-Hypnobabies) childbirth educators make “accepting the inevitable pain of childbirth” quite a main focus of their classes. Although these childbirth education classes may have some excellent qualities, that cannot and does not make up for *training* women to experience pain and ”cope” with it as best they can. Example: The Bradley Method; an excellent childbirth class – students will receive an invaluable education in natural childbirth, pregnancy nutrition, prenatal exercises, consumer issues, staying healthy and low risk, etc. There are also many “pain with a purpose” messages that need to be avoided by all expectant mothers that want a natural birth since the inner mind accepts this message as a “Catch-22”: In order to get your prize (your sweet baby), there needs to be and will be a fair amount pain! This is just not true for Hypnobabies mothers and they need to avoid that kind of programming. The Bradley Method breathing and relaxation techniques are excellent for “avoiding unnecessary pain”. They are however, very limited compared to using our Hypnobabies repetitive, somnambulistic, deeply engrained hypnosis techniques which can actually eliminate discomfort and fear. It is Hypnobabies’ Hypno-anesthesia which creates comfortable birthing sensations and an automatic deep relaxation going light years beyond any other method, (when practiced daily and as directed). Those who wonder if they will miss out on some of the deep relaxation techniques in the Bradley Method or other classes simply don’t yet understand that there is no deeper relaxation possible than the deep state of hypnosis that practiced often in Hypnobabies. Or that this hypnosis actually “re-trains” the inner mind and becomes a part of our Hypno-mothers’ inner programming and therefore an *automatic* response from the inside out, when it is needed most – during their baby’s birth. The added benefits of Hypnobabies’ very successful pregnancy and childbirth hypnosis techniques which eliminate discomfort, fear, nausea, backache, insomnia, pre-term bleeding, etc. make Hypnobabies such a wonderfully advanced choice. Childbirth Education: There is no need to take any other kind of class or course for childbirth education since Hypnobabies is a 6 week complete childbirth education course. We cover Nutrition, Prenatal Exercise, Staying Healthy and Safe, Comfort in Pregnancy, Birth Plans, Consumer issues (3 classes on Birthing Choices), All Stages of Birthing, Optimum Baby Positioning, Abdominal Lifting, Positional Comfort Techniques, Breastfeeding, Mother and New Baby Care and much more. Hypnosis is generally not recommended for people with a history of mental disorders such as psychosis, certain mood disorders, or seizures. If you or your Birth Partner (since they will be experiencing hypnosis too) have a history of any of these medical or mental issues, you should not undergo hypnosis without first talking to your mental health care professional or physician and acquiring his/her approval. You and your Birth Partner will receive separate e-mails regarding your online class enrollment and you’ll both need to follow the directions for your electronic signing. Once you’ve both completed signing the form online, we can forward it on to your Hypnobabies Instructor who will complete the enrollment process with you.